Motorola has posted first quarter earnings highlighted by a glaring $86 million net loss, or $0.28 per share, despite increased smartphone sales. By comparison, the mobility company posted an $80 million loss in the previous quarter and an $81 million loss year over year. Revenue, however, increased slightly from the same quarter to $3.08 billion from $3.03 billion, good for a 1.5 percent increase. The company reported shipping 8.9 million mobile devices through the three month period, 5.1 million of which were smartphones. Compared to last year, overall sales are down but smartphone numbers increased by 1 millon. Motorola’s mobile device division accounted for 71 percent of total sales with the home segment picking up the remaining 29 percent. In the mobile division, the Droid Razr and Droid Razr Maxx accounted for almost all of the smartphone sales. For the home segment, revenue fell by 2 percent to $844 million with operating costs of $91 million. The earnings come in the wake of plans to lay off 800 employees ahead of the planned acquisition by Google. The search giant agreed to purchase Motorola’s mobility unit for $12.5 billion last August. 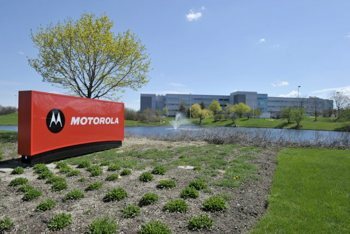 ZDNet notes that Motorola accepted the terms following board approval while US and European regulators approved the deal earlier this year. The last piece of the puzzle is China, who could give their seal of approval by the end of the second quarter.